You know you’re at a great resort when the name has changed three times but the service is still fantastic and it still feels comfy and familiar. At Viceroy Zihuatanejo, all the “good bones” of the past are still in place and the new logo is just an upgrade. 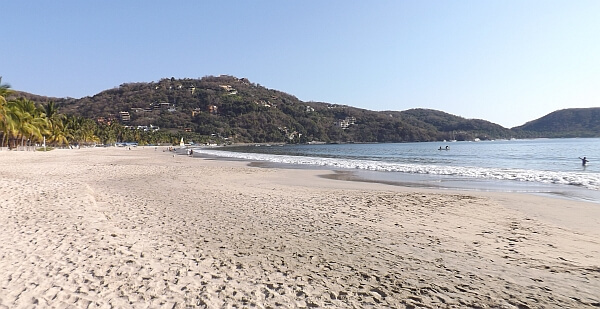 The first time I came to Zihuatanejo, Mexico many years ago, I reviewed Villa del Sol for a trade publication I was working for and thought it had access to one of the best stretches of beach imaginable. A few years later I returned and stayed at Tides Zihuatanejo, part of an upscale chain with resorts stretching from the Riviera Maya to Beverly Hills. Now it’s a Viceroy, which is kind of like getting “VP” added to your business card when your job hasn’t really changed much. It’s part of the same company and still has many of the same staffers, which is a positive in a resort with such a long-established reputation. It’s just a branding upgrade. Enough with the backstory—what’s it’s like staying here? Thankfully the Playa la Ropa beach is as great as ever, the food is still excellent, and the people working here are friendly and well-trained. This is one of the best resorts in the region for getting from your room to the beach in a few minutes, even if you’re staying at the back of the property. That’s without any ugly high-rises either: three floors is about as high as it gets. This is an intimate beach resort, low-slung and with only 46 units, but smack in the middle of one of the most perfect stretches of sand in the region. There are waves big enough for boogie-boarding, but no riptides. The sand is soft between your toes, with no rough coral or shell pieces to cut your feet. If you’re staying here you’ll have your choice of prime lounging spots on the sand: hammocks, wide cushioned lounge chairs, or swinging beds. Yes, someone will bring you a drink or food when you catch their eye. There are enough swimming pools down some random path here that you may be two or three days in and go, “Where did that pool come from?” There are almost as many bars: the belly-up kind to the casual sit-down kind, the swim-up kind to ones with built-in marble backgammon boards. Two restaurants serve most meals, though if you get antsy there are plenty more up and down the beach and Zihuatanejo has some excellent high-end places with a view. It’s easy to be content here at the Viceroy though, with La Marea serving up high-end fish, seafood, and beef from its open kitchen facing the bay. Most nights there is live entertainment. The other restaurant, also beachfront, takes care of breakfast and lunch. Or you can have a special tasting menu in La Cava with 1,000 bottles of wine surrounding you. Rooms here run the gamut from smallish ones that date back to the resort’s humble founding to splashy beachfront suites with their own decks and pools. 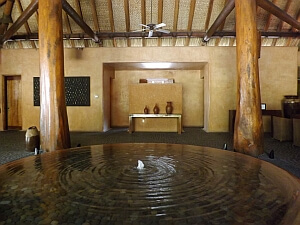 A lot of the suites have plunge pools in fact and the lagoon ones that are further back from the water make up for it with huge outdoor living spaces. The one I was just in had a cushioned lounge chair for two, a sofa, a dining table, and two wicker arm chairs. Extensive landscaping and good design ensure plenty of privacy. 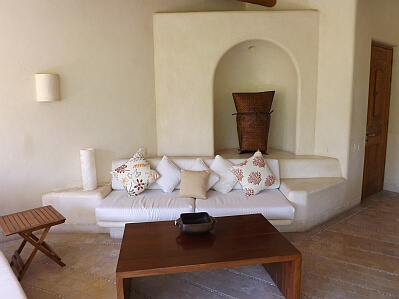 Interiors are gorgeous, with artisan crafted furniture, curvy built-ins, inlaid tile and stone floors, and sinks carved out of solid blocks of polished stone. 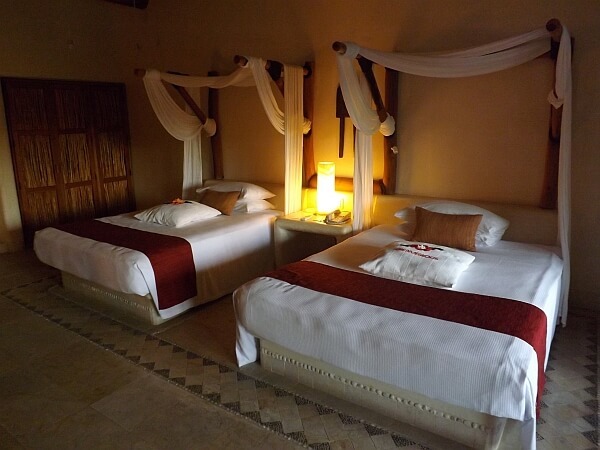 All have complimentary Wi-Fi and a range of gadgets, including iPod docks and flat-screen HDTVs. There’s a spacious, well-equipped gym in its own small building with a palapa. Nearby is a spa with an extensive range of treatments. 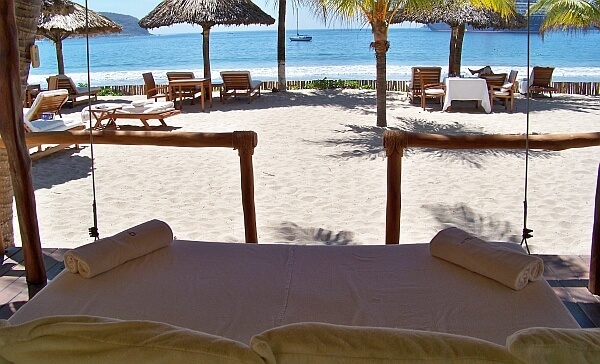 If you want, you can choose to get your massage on the beach with the sound of waves crashing instead. This has long been at the top of the list for luxury beach resorts in Mexico and it offers a much more intimate, laid-back experience than the ones in Mexico’s better-known tourist cities. With a well-trained bilingual staff and consistently well-executed service, even the pickiest travelers will likely find this a resort worth recommending. Get more details and make a booking at the Viceroy website or check rates at Hotels.com. Review and photos by Tim Leffel, who was hosted by Viceroy Zihuatanejo while researching a magazine story about the Ixtapa/Zihuatanejo region.